Cloudy skies. Windy this evening. Low near 40F. Winds N at 20 to 30 mph..
Cloudy skies. Windy this evening. Low near 40F. Winds N at 20 to 30 mph. 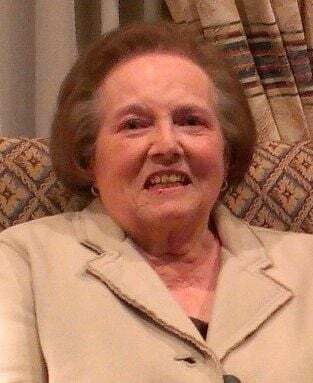 LAKE FOREST, IL — Ramona June Leland, 90, passed away peacefully on Wednesday, April 10, 2019, in her adopted Lake Forest Place home in Lake Forest, Illinois. Ramona devoted her life to her family and husband, Judd, who passed last March, and is survived by Scott and Jane Leland and their son Isaac; Todd and Barbara Leland and their children, Audrey, Julia and Henry. Born in Waterloo, Iowa on Feb. 22, 1929, Ramona grew up with her sister Wynona, and the aptly named “Moni & Noni” had a strong sister relationship that brought their families together often so their sons, Scott and Todd and Rusty and Rick, could play, laugh and learn during their childhood. Ramona graduated from Waterloo East in 1947, married Judd on August 31, 1952, and they spent 66 memorable years together. Ramona joined Judd who was in the Army in Heidelberg, Germany in 1956 where Scott was born, then Todd joined the family in 1959 in Waterloo. Moni tirelessly devoted her time to Judd and his career, and the boys as they participated in school, Scouts and sports.